Easter is about a month away, and with Easter comes all the bunny-related events! When planning your Easter festivities, consider purchasing custom Easter temporary tattoos from Tattoofun.com. What kind of events would be appropriate for custom Easter temporary tattoos? Below are just a few ideas for which they would be appropriate. When planning an egg decorating event, consider purchasing custom Easter temporary tattoos to decorate with. You can apply temporary tattoos directly to the egg the same way you would apply it to your skin. Simply apply a damp cloth to the backing of the temporary tattoo for 30 seconds and voila! Your eggs will be decorated in no time. Avoid the mess of egg dye and use custom Easter temporary tattoos. What’s more, it will also look like a professional artist drew on your eggs! When really it only took you about 30 seconds. If you are planning a Fun Run for Easter or Spring, consider purchasing custom Easter temporary tattoos. You can put these tattoos in your runners’ grab bags as a gift. You could also hand them out at the finish line as a reward. 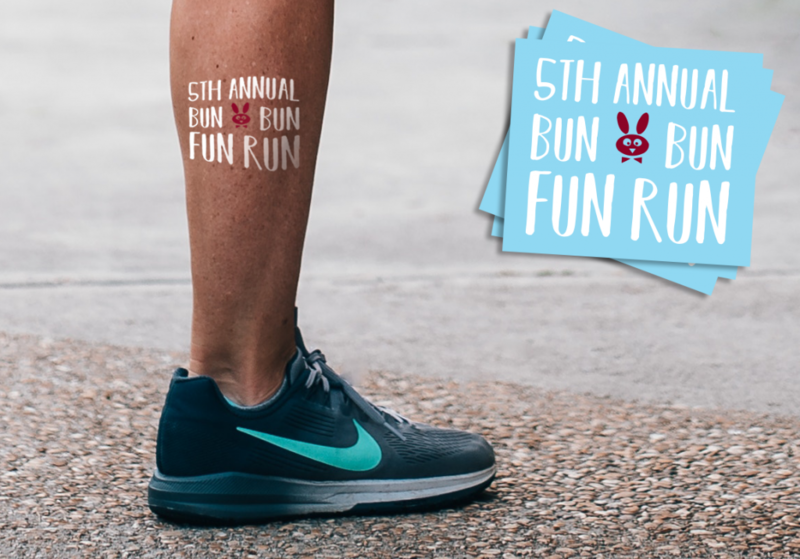 Imagine all the people who attended your fun run wearing the custom Easter temporary tattoos. For the rest of the day, these people become a walking advertisement for your charity or business. We couldn’t write this blog post without including Easter Egg Hunts! 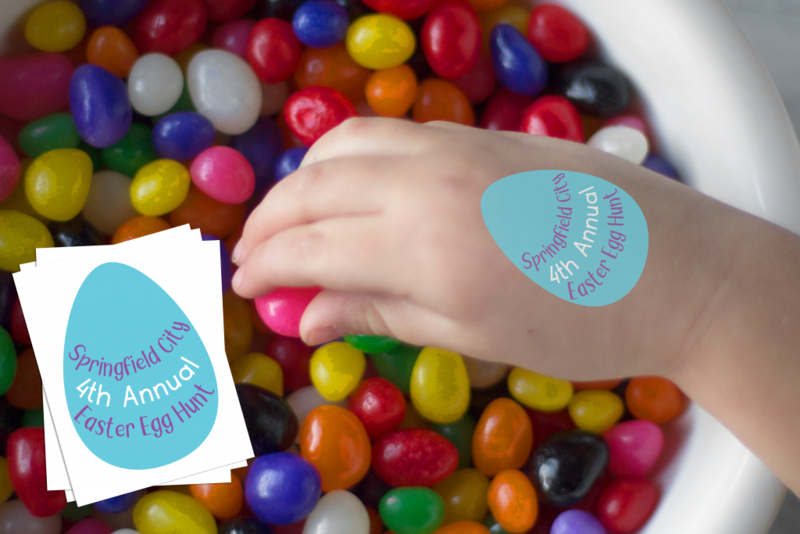 Purchase custom Easter temporary tattoos to place inside of the eggs as an alternative to candy. 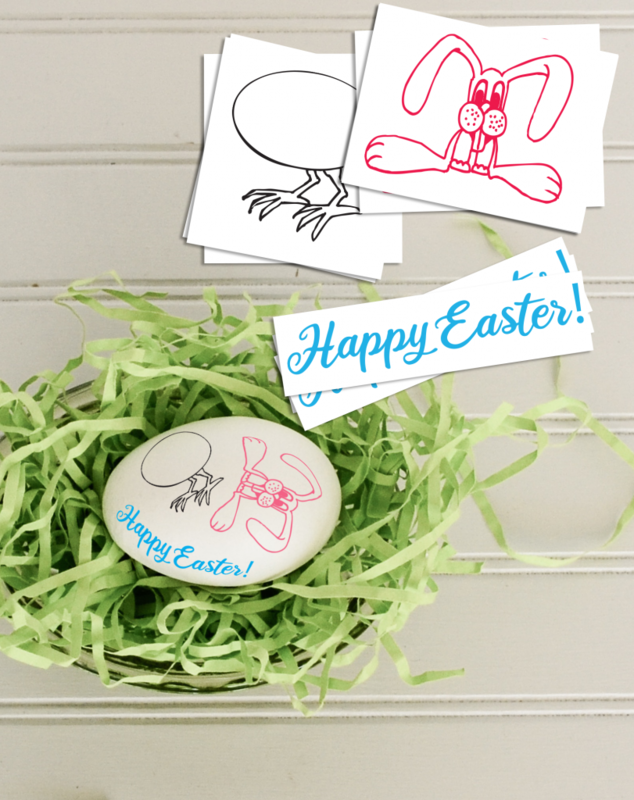 Above all, imagine the joy on a child’s face when they open an egg and see a custom Easter temporary tattoo inside. If your event is for a specific cause you can design a temporary tattoo for that cause. 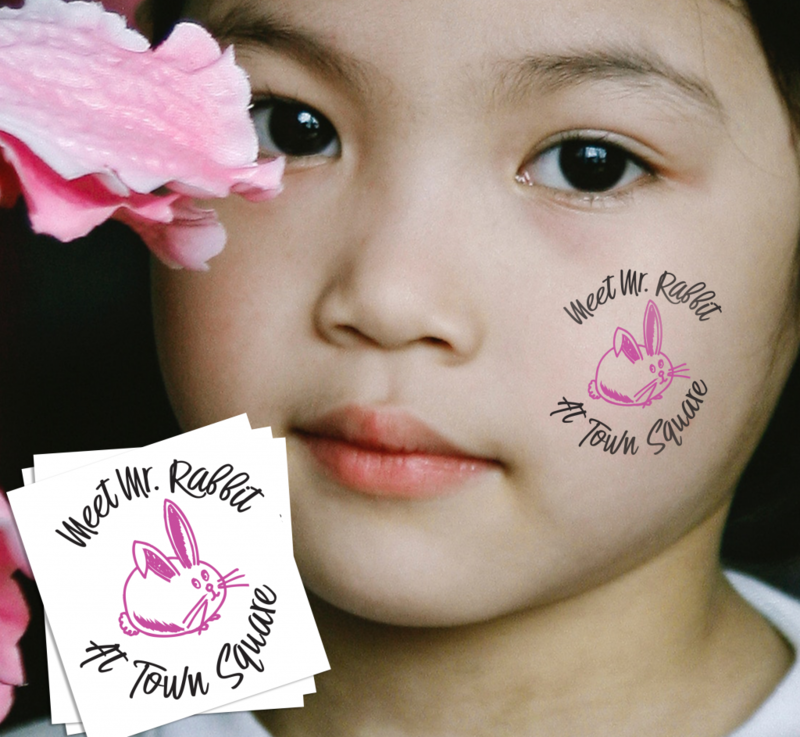 This way, any child that applies your custom Easter temporary tattoo becomes a walking advertisement for your cause. The Easter bunny is the most popular man in town around Easter! Design a custom Easter Temporary Tattoo for your Easter Bunny Meet-up. This temporary tattoo can be a design of the bunny himself, or any other Easter-related item. Have a station in the line for people to apply these custom Easter temporary tattoos. This way, everyone can wear their temporary tattoos for their photo op with Mr. Eb himself-the Easter Bunny! If you are struggling to make your design a reality, our brilliant team of graphic designers can help! A small design fee may apply, but our graphics team will ensure your custom Easter temporary tattoos become a reality. All of these Custom Easter temporary tattoos are easy to apply, and only require a little water! Simply put the temporary tattoo against your skin and apply a damp cloth to the backing for 30 seconds. The best part of temporary tattoos is that they stay on for days! However, you can also remove them anytime with rubbing alcohol. You can also remove them with just a little hand sanitizer. (There is also a special formula of temporary tattoo remover available). We’ve been in the Temporary Tattoo business for over 20 years! Thus, we know a thing or two about what type of temporary tattoos people love. We ship millions of temporary tattoo sheets all over the globe each month! Additionally, we proudly make all of our temporary tattoos in the USA. We also make all of our temporary tattoos skin safe, FDA approved ingredients. Above all, we offer the best quality temporary tattoos, every day low prices, and excellent customer service. We also guarantee you'll be satisfied with our temporary tattoos, or we will make it right.